In July, more than 200 CEOs gathered at the New York Stock Exchange to honor one of their own: McDonald’s Jim Skinner. Named 2009’s Chief Executive of the Year, Skinner is the 25th CEO to receive the award, joining such business luminaries as Jack Welch, Andy Grove and Bill Gates. 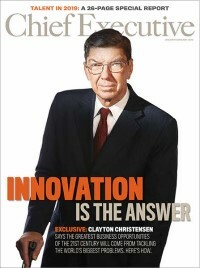 In designating a recipient, Chief Executive magazine considers nominations from CEOs and their peers. Top nominees by votes are then passed on to a panel of CEO judges who weigh candidates by such criteria as leadership, integrity, ability to outperform and commitment to employees.